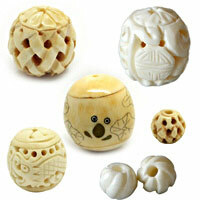 Gemstone Crafts--China Beads offer a wide range of natural gemstone crafts. These unique and beautiful crafts are available in different stunning designs which made from various quality gemstones. Every rare gemstone crafts reflects true exquisite workmanship and perfect finish. Now add a royal touch to every corner of your home with our amazing Gemstone Crafts at best wholesale prices! NOTE: Our Min. order is for each color each size. China Beads accept OEM/special orders. Contact us now!